The information presented on this page was originally released on July 5, 2012. It may not be outdated, but please search our site for more current information. If you plan to quote or reference this information in a publication, please check with the Extension specialist or author before proceeding. MISSISSIPPI STATE -- Fun with Food brought 32 young people in third through sixth grades to Mississippi State University for a week of hands-on learning about food and cooking skills. Offered June 18-22 by MSU’s Department of Food Science, Nutrition and Health Promotion, the class brought together 10 boys and 22 girls for a 40-hour week filled with new food experiences. 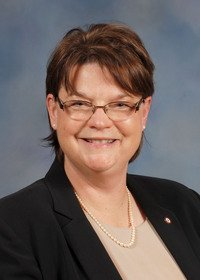 Sylvia Byrd, professor of nutrition, organized the program and has led it for the past five years. Hamilton Wan, a 10-year-old from Starkville, said he enjoyed taste-testing a variety of cheeses on day two of the week-long camp. “I came because I wanted to learn a little more about cooking,” he said. The students were introduced to a variety of fruits, vegetables, cheeses and food combinations that many had never tried before. They learned about measurements, correct food portions for meals, knife skills, kitchen terminology and more. Alice Brown, 10, of Jackson, learned how to roast vegetables. “We took vegetables and put them in the oven,” Brown said, describing how the students prepared a dish for lunch. Field trips took the campers to MSU’s dairy and beef units and sensory lab, a nearby produce farm and a local grocery store. As much as possible, organizers let the children learn by doing. Each day, the youth experienced classroom instruction in a particular kind of food or cooking technique. With a full staff of supervisors, they made their own lunches and ate them family-style at long tables. Afternoons were spent taking field trips and doing other activities. 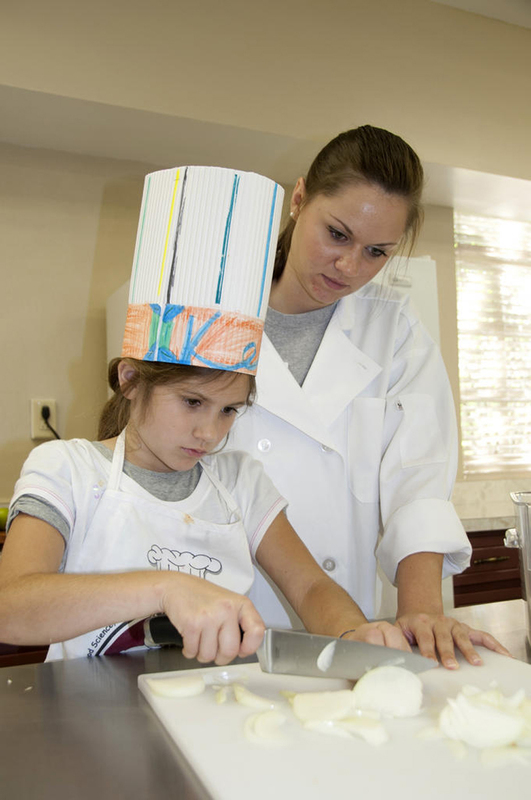 Claire Gunther, a 9-year-old from Auburn, Ala., enjoyed a quiche and stir fry she made in the class. She said she wants to make these dishes again at home. “I learned how to dice and chop and mince,” Gunther said. Daniel Speer from Huntsville, Ala., at 8 was one of the camp’s younger participants. He said he cooked something for his grandmother on the first day of camp. “The best part of cooking is that you get to cut,” Speer said.